This post picks up on an earlier discussion as to the origins of the practice of lords being styled the Right Honourable, even though not sworn of the privy council. (All privy councillors are entitled to the prefix.) I have consulted the guidance prepared by Who’s Who. It transpires that by ancient practice, amounting almost to a right, all peers below the rank of Marquess are addressed as the Right Honourable, but – and this to me is the interesting part – the prefix is normally shortened to ‘The’. Thus, the ‘The’ in Professor The Lord Norton of Louth stands for The Right Honourable. Members of the privy council should put the prefix in full. They should not, apparently (as tends to be the practice), put PC after their name as membership of the privy council is a position and not a honour. I appreciate this is a somewhat arcane post, but given the quality readership that this blog attracts it seemed the most appropriate place to put it. This entry was posted in Uncategorized and tagged privy council, Right Honourable, Who's Who. Bookmark the permalink. 33 Responses to The Right Honourable Lord…. As I said, a quality readership. I have an explanation. Back in the old days, members of the Privy Council for Canada were entitled to the style “The Honourable”, and Canadian members of the Westminster Privy Council were, like any other members, entitled to the style “The Right Honourable”. PMs, GGs, and CJs were appointed to the UK Privy Council, so they had that style. But then the decision was made to stop those appointments, so the further decision was made, for continuity’s sake, to give those office holders the right to the loftier style by virtue of the office itself. I think Australia and New Zealand have done the same thing. Thanks, Rich. I had forgotten about that old tradition! Part of the Canadianization of the Crown involved severing ties to the British Privy Council. Our Prime Ministers were also knighted until Borden (1911-1917). As an aside, can I say that I doubt if most Canadians (not unlike most people in the UK) know what PC means. On a trip to Toronto, I visited the Ontario Legislative Assembly. A very nice young lady took us on a tour, part of which covered the Premier’s offices in the Assembly buildings. The plates on most of the portraits included the post-nominal PC. I asked her if it meant that they were members of the Privy Council in London or the Queen’s Privy Council for Canada. She advised me that actually, it stood for the political party, the Progressive Conservatives. I’m fairly certain that a political party’s name do not form part of the post-nominal letters with QC & MP on most name plates as well. Unfortunately, your story is indicative of the general constitutional ignorance from which Canadians suffer. But a tour guide at Queen’s Park most certainly should have known better! What a monstrous mistake. PC used to be used until the early 1900s, I think I remember reading, but still ought to be used for peers as otherwise how can one tell of their membership – I’m not sure the ‘the’ distinction is in practice used such that one can gain any reliable guidance! Croft: I had a similar thought! I think the practice is rather confused, given that few people appear aware of the ‘The’ distinction and peers who are members of the privy council will tend to put PC after their names. I think I have that clear in my head ! Croft: Yes, the holders of courtesy titles should not be addressed as The Lord but as Lord. As you say, the second ‘The’ in your example is to denote a substantive peerage, but it does mean that a member of the Privy Council, without a shortening of the prefix for a substantive peerage, thus becomes the Right Honourable the Right Honourable Lord…. I wonder if I should link this post to the earlier one on characteristics of being British! Mind you, I can think of some nations where this sort of discussion would be taken very seriously indeed. If a privy councillor ought not to attach P.C. after his name as it is a position and not an honour, how does one account for Members of Parliament affixing M.P. after theirs? Very interesting – particularly about the “The”. I agree with JH. The Who’s Who advice might be great for understanding usage in Who’s Who, but it is terrible advice for practical usage. Since all peers ranking as a baron, viscount, or earl are entitled to be styled “The Right Honourable” and the practice of dropping that style for non-Privy Counsellors is not universal, using both is essential for avoiding ambiguity. As S.M. MacLean points out, the advice not to use “P.C.” because it is a position, not an honour, would apply equally to “MP”. In any situation in which you would use the latter for an MP, it would make sense to use PC for a peer. I think Debrett’s advice reflects what appears to be current practice. I have yet to discover the reason for PC not being used because membership of the Privy Council is a position and not an honour whereas MP is perfectly acceptable as a suffix. The only distinction between membership of the Privy Council and of the House of Commons is that the former is for life (though in extreme circumstances one can be stripped of one’s membership). I suppose there is also the point that there is no suffix to denote membership of the House of Commons. MPs are not entitled to be styled The Honourable (though it is often assumed by correspondents, especially from overseas, that they are) and if they were that would simply further confuse matters given that the children of peers are entitled to the suffix. The suffix “PC” is usually only used by peers who are privy counsellors where the meaning of the prefix is ambiguous. How should, for example, Michael Ancram be styled? maudie33: I think the quick answer is no! Plausible Capitals, Position Connoted, Politely Communicative, Please Check, Publish Correctly, Polished Courtier, Powerful Connections? Not just over the top titles: watching The Coronation of Queen Elizabeth II, I noticed one of the chaps near the throne in full dress, sporting a long length judge’s wig – with a coronet perched on top. PS If you missed it, the programme is repeated tomorrow (Mon 4 June) on BBC4 at 23:25. Chock full of little known facts, including why the Archbishop fumbled with the crown just before placing it on the head of George VI. I haven’t seen the programme, but I would guess from the description that it would be the Lord Chancellor, then the seniormost judge in England and Wales (hence the wig) and also the Speaker (and member) of the House of Lords, hence the coronet. It is worth reflecting that the Queen’s reign has had major changes in the House of Lords; first female members, life peerages, hereditary principle and judicial functions lost. The next Coronation will be duller for missing out on such details. I understand that the Lord Chancellor was not required to be a peer, and I’ve even read that the Woolsack was considered not to be part of the House of Lords. That said, he had been a peer for centuries before Jack Straw, and the Lord Chancellor at the time of the Queen’s coronation was no exception: he was Lord Simonds. I do agree that there have been many changes, but I guess few signs of those will be visible in the next coronation; indeed, Prince Charles’s proposed modifications and simplifications intended to make the ceremony more television-friendly will be much more noticeable, if rumours are to be believed. Regarding George VI’s coronation, I think the Archbishop wasn’t sure which side was the front? The Duke of Waltham: On George VI’s Coronation, a small piece of cloth had been tied round the front of the Crown to indicate which was the front, but for some reason someone had removed it just before the ceremony. Hence the Archbishop’s confusion. He kept turning the Crown round looking for the piece of cloth. I wonder how tightly it fit; there can’t be much of a difference between the front and the back. Unless he couldn’t tell the front from the side, which sounds unlikely. Thank you for covering such a wonderfully arcane topic in your post. I had the pleasure of having a discussion on this very topic with Baroness Corston a while ago. It is illuminating how many members of the House of Lords are not aware of what has been covered in this blog post. To just give a bit more background to what the “Who’s Who” called ancient practice, both the House of Lords and the Privy Council descend from the Curia Regis, the King’s Court. The former consisted of all the peers called to attend to important business, the latter comprised of all peers in post around the king. While we would consider them two different bodies, in medieval times, they were considered the same body. Any peer who was near the kings presence could attend the Curia Regis. That is why there are many similarities between the powers and rights of their memberships. a) As the Kings Court, both the House of Lords and Privy Council had judicial appellate roles. The former is now transferred to the Supreme Court and the latter to the Judicial Committee. In a very British way of modifying the constitution, both these bodies now have the same membership, though still technically different bodies. b) Both peers and members of the Privy Council have the privilege of being individual counselors, and thus having individual access, to the Crown. The House of Commons only has such a right as a body. 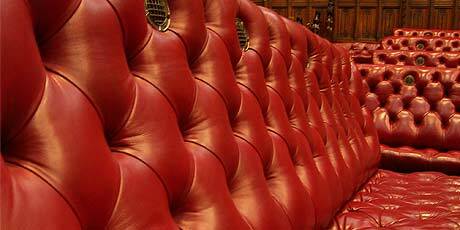 c) Peers who have lost their right to a seat in the House of Lords, Privy Counselors from the House of Commons and eldest sons of peers (presumptive future peers) have the right to view (but not speak in) proceedings in the House of Lords from the Steps of the Throne. I have seen Privy Counselors from the Commons following particularly intensive debates in the Lords in this way. There are a few more similarities which I do not recall at the current moment, but which I’ll append when I do. Princeps Senatus: Many thanks. Initially, the term barons covered those who held land under the king. Senior barons received their summons to court individually, whereas junior barons, those who held manors, were summoned as a group from each county. This has some relevance to point (b) in that the former are the precursors of the House of Lords and the latter, who essentially evolved into the knights of the Shires, are the precursors of the House of Commons. I would normally never dream of contradicting you on a matter of constitutional law, but I’m a bit sceptical of barons holding tenure in fee simple immediatly of the Crown being summoned to the fledgling House of Commons. I’m fairly (though not absolutely; I would be very foolish to make such an assertation) certain that any writ to a person summoning him to Parliament by name created a barony by writ (if he did actually obey the summons and attend Parliament). This appears to have been settled law by the time of the War of the Roses. The Commons appears to have its origins in summoning two knights from each shire and two burgesses from each borough by Simon de Montfort. To the best of my knowledge, as the writ was not issued in the name of a person, but to the county authorities to return two people, it did not create a barony and hence the Commons had a distinct identity. The way I look at it, the barons represented their (territorial) baronies, while the members of the fledgling House of Commons represented the counties and boroughs corporate, a feature more obvious in the French title of the Canadian House of Commons; “Chambre des Communes”, “Chamber of Communities”. Can I concluding by thanking you again for blogging on this arcane subject? It has allowed the followers of your blog to discuss some quite diverse subjects. I do not know if this is really related, but I have noticed that the Clerk of the Parliaments or another Clerk on duty at the table of the House normally does not use “the” when he is calling the Lord whose item of business is next. Only when the rank itself carries an “of” he uses “the”. For example he would say “Lord Norton of Louth” or “Viscount Colville of Culross” but “The Earl of Listowel” or “The Duke of Montrose”. Should he not all the time use “the”? Ulysses: Well spotted. I suspect it has more to do with the nature of the title, being Lord of somewhere. If I was simply Lord of Louth, i think it would be natural to say ‘The Lord of Louth’. In this context, the ‘The’ is not a shortened version of a prefix. That’s one thing explained but, regarding the missing articles, I still find that grating when I notice it. It would be nice if there were a historical excuse for this inconsistency, but one cannot be sure. I expect little from film and television (they show British judges with gavels, after all), and even the press, but from the House itself… I prefer to think there is a rule that I ignore. Apologies for responding here to one of your earlier posts. I think WordPress does not allow one to reply beyond a certain level. The Lord Chancellor indeed does not have to be a peer, but that was the practice between 1760 (when Sir Roger Henley was the last commoner to sit on the Woolsack as Lord Keeper of the Seal, rather than as Lord Chancellor) and 2005, when Jack Straw became the Lord Chancellor and Secretary of State for Justice. The Woolsack is indeed outside the House and it is interesting to see the proceedings of the House when this is illustrated. I remember seeing the House of Lords sitting in its judicial capacity for the Pinochet case and the presiding peer (not the Lord Chancellor) kept moving between the Woolsack where he sat as as presiding officer and the benches where he sat as a member and where he could speak from. With regards to St Edward’s (coronation) Crown and indeed, any crown, they have to be worn in specific manners as specific stones used to decorate them have specific significance. Also, the base of St Edward’s Crown is not round, but oval to fit more naturally on a head and hence has to be aligned accordingly.